Memorial benches are supposed to be handled with great respect. It is so because they stand as a symbol of a person who has died: it is meant to commemorate your departed loved ones. 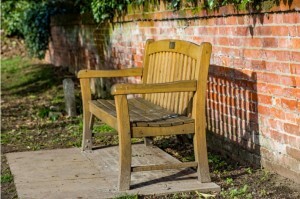 Most memorial benches are from wood, but you can also make with stone, synthetic materials or metal. And they are often placed public places and even in domestic gardens within your compound. Engraving is an art that makes any furniture or material beautiful and outstanding. Memorial benches are therefore not an exception to this work of art. You can have a monument bench engraved with your departed loved one’s name and other beautiful messages. You feel their presence more vividly in your mind whenever you visit the monument bench with their names imprinted. To get exceptional bench plaques for your memorial benches, you can hire the services of Able Engraving and Design which has vast experience in the engraving industry. They have worked in various towns and cities across the United Kingdom. You can decide to engrave a statement that your late loved one liked saying whenever he or she was around you. It can serve as a great reminder whenever you visit the memorial bench. You can include your loved one’s nickname in addition to his/her official names when engraving the memorial bench. Nicknames sink deeper and make you remember the beautiful moments you shared. Even though most people may consider this unnecessary; images make the memorial bench more intense and attractive. You can decide to engrave two people running down a hill as a way of remembering the times you were together. Images bring your loved one clearly and faster into your mind. Here, at Able Engraving and Design, we offer quality bench plaques at affordable prices. You will save a lot more when you hire them for your memorial bench engraving services. You will be getting engraving services from a company that has worked with many clients across the United Kingdom and beyond. Most of the Able Engraving and Design Company clients are happy with its services. Memorial benches are supposed to sacred because they represent your departed. They should be designed and engraved with words and images that remind you of the fond memories together. Hire Able Engraving and Design for quality bench engraves at affordable prices.